The Rener's are a young couple from Atlanta. We met, had our first date and got married in Sandestin. April is a Realtor with Berkshire-Hathaway and Philip is a morning radio DJ. 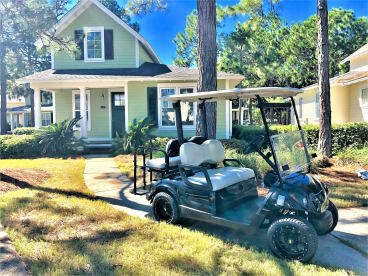 We love the big yard, quiet street, big pool and the availability to take the golf cart anywhere. Love sitting on the back deck with a beverage while our daughter plays with friends in the yard.